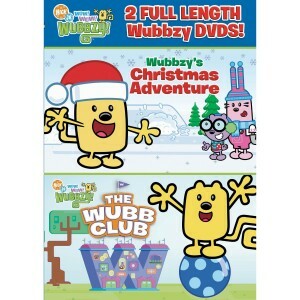 An adorable little set of Christmas specials from the Wubbzy characters, where everyone is getting ready for the Winter Wonder Wubb Club. The characters get to spend the holidays decorating a tree, fixing a snow sculpture, helping delivery presents, and spending time with one another to make the best Christmas possible – a great message to spread to your children. The second disc features the Wubb Club, and seven different adventures taken on by the Wubbzy characters, including meeting a new neighbor, starting a band, and building a clubhouse.